A friend shared this recipe and it was a recipe that her Mother learned in the 1950's. No clue where it originally came from, but it's very good. 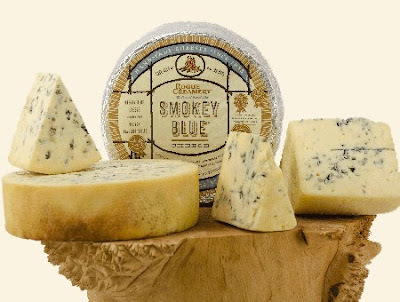 I think it is best with a Maytag Blue or for a fun twist, Rogue Creamery's Smokey Blue. Certainly, you will also never go wrong with a Roquefort. Pepper to taste, and add salt if needed. Often, it is not needed. Combine the blue cheese and olive oil until well mixed, but still chunky Add in all other ingredients and blend until well incorporated. Store is a glass jar in the refrigerator. It benefits from a day of rest, to give the flavors a chance to combine and mesh.